Diane Kappa: Let's Color Project and my home town of Cincinnati! Let's Color Project and my home town of Cincinnati! I am happy to link you to a video made in my home town of Cincinnati! 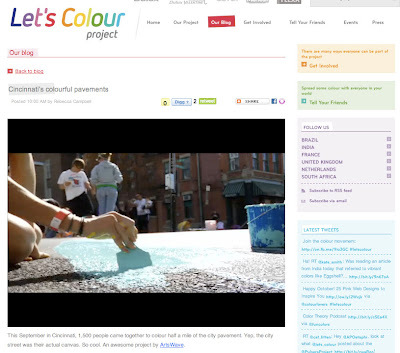 The Let's Color Project has posted this video and I am so proud that Cincinnati art has made it onto this blog! Way To Go Cincinnati!